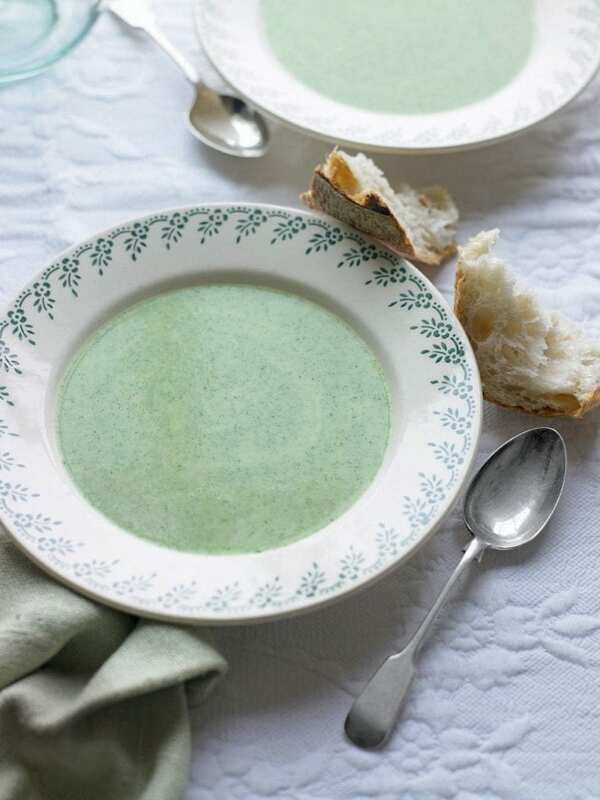 An easy wild garlic soup recipe, made with foraged wild garlic, onions, potatoes, vegetable stock and double cream. It’s great served with a good chunk of buttered bread. You can learn how to forage for wild garlic here. Heat the butter in a large saucepan over a medium heat. When foaming, add the potatoes and onion, then toss until well coated. Season. Reduce the heat, cover and cook for about 10 minutes until the vegetables are soft. Add the stock, bring to the boil, then add the wild garlic and cook for 2 minutes until wilted. Immediately liquidise the soup with a hand-held stick blender, then return to the pan, stir in the cream, taste and season. Serve hot with crusty bread. If you can’t find wild garlic, spinach or watercress would be great instead. Freeze the cooled soup in a sealed plastic container. It may discolour, but this won’t affect the flavour.